Born to a French mother and a Burkinabese/Senegalese father, Jennifer « Hawa » Zonou bathed from a young age into the world of the Afro-American music. Approaching its 20th anniversary, she shows a real talent as a singer and naturally begins his musical training with the best school, Gospel. She then entered the Soul-Hip-Hop scene from Lyon, multiplying gigs and collaborations. During a show in 2008, Hawa made the acquaintance of Bruno « Patchworks » Hovart (Metropolitan Jazz Affair, Uptown Funk Empire, Mr Day, Mr President) and in the same time of Pascal Rioux and Favorite Recordings label. Seduced by what he hears, Patchworks offered him his services and in 2009, Hawa revealed to the public with a remarkable cover of « D.A.N.C.E. » by Justice, and fine appearances alongside Mr Day or Mr President. 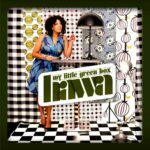 Naturally, the duo nourishes the common desire to embark further and in June 2011, Hawa presented her first solo album entitled ‘My Little Green Box‘. Collecting first the support and praise from many French and international media (France Inter, FIP, Nova, Telerama, Michael Ruetten, Superfly FM, etc …), the groove of the album will also trigger a long series of festivals & concerts throughout France. Hawa reveals herself with a genuine stage presence, spontaneity and ability to move, that will fulfill every audiences encountered, whether in Blues, Jazz, or Contemporary Music’ a stages, and whatever generation it was. This is also an opportunity for her and Patchworks, to surround them with a cohesive group, composed by the finest musicians of the Jazz and Soul scene from Lyon. With this positive environment around her, Hawa also starts writing her second longplayer with exalted inspiration. Once again produced by Patchworks, ‘Another Tree‘ marks an important evolution for Hawa, both in sound and production, but also in lyrics, themes, or influences. Deliberately more live, the entire production is made with analog equipment and tape recorder, with all the live band members involved in the process. 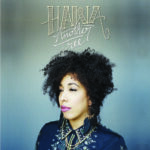 A perfect background to enhance Hawa’s new songs, which are significantly looking towards Memphis, crossing the genres between Soul, Folk, or even Rockabilly. The sound of the album also permeates the footprint of artists like the Staple Singers, Isley Brothers, or Shirley Ann Lee, labels like Hi Records, Sun, or Stax, and finally great producers like Willy Mitchell, Jack Nitzsche, or Phil Spector. Hawa happens to be more direct and confident, but also more sensitive and more deep. And without a doubt, it makes her songs just more intense, original and elegant. ‘Another Tree’ (CD, LP & Digital) will be out on June 4th 2013 as LP, CD & Digital. Hawa is back with a brilliant sophomore effort called "Another Tree", once again produced by Patchworks aKa Mr President ! New single extracted from Hawa's new LP called "Another Tree". 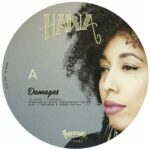 Following last year’s critically acclaimed 7inch on Favorite Recordings, young singer HAWA finally presents her first album.